A team of Canadian researchers has found that anthropogenic noise (noise created by people that impacts other species) in urban areas leads to less songbird diversity. In their paper published in the journal Global Change Biology, the researchers describe how in studying songbird diversity in and around the city of Edmonton, they noted that songbirds that sang in low frequencies tended to have difficulty in communicating when having to compete with urban noise, leading to less mating and offspring production. Many cities around the world have begun to implement plans to host songbirds—they are seen as an attractive feature in parks and other semi-natural settings. Unfortunately, such efforts have not lived up to expectations in many areas as diversity has been much lower than anticipated. Seeking to discover why, this new research effort focused on the idea that many songbirds may have trouble competing with urban noise, and as a result, fail to thrive. The researchers surveyed 113 natural sites in and around the city of Edmonton Canada, noting the richness of songbird diversity, as well as elements commonly associated with their habitat, such as vegetation, food source etc. In analyzing their data, the team found a correlation between high urban noise level and songbird diversity—the more noise, the fewer the number of species. More specifically, they found that those songbirds that sang in low frequencies were more adversely impacted by urban noise, which they note generally comes from traffic, which also creates a lot of low frequency noise. 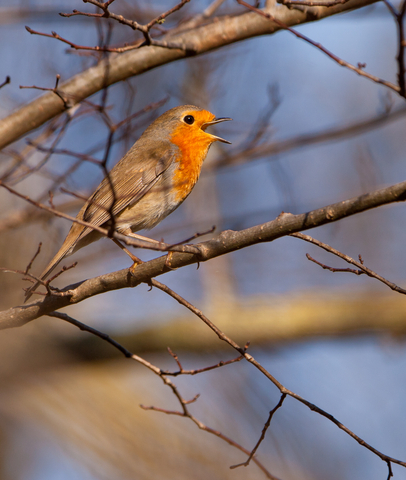 The researchers suggest that interference from low frequency traffic noise could cause interruptions in mating songs in addition to general communication problems between the birds, leading to less mating, and fewer offspring. The result is urban environments that favor songbirds that sing in high frequencies, at the expense of those that are more heavily impacted by noise in their environment, i.e. less diversity. The team also studied seven particular species of songbirds to see if their numbers decreased as the level of noise around them increased, and found that the three species that sang in low frequencies did indeed show smaller and smaller population levels as the level of urban noise in the area increased. More humans reside in urban areas than at any other time in history. 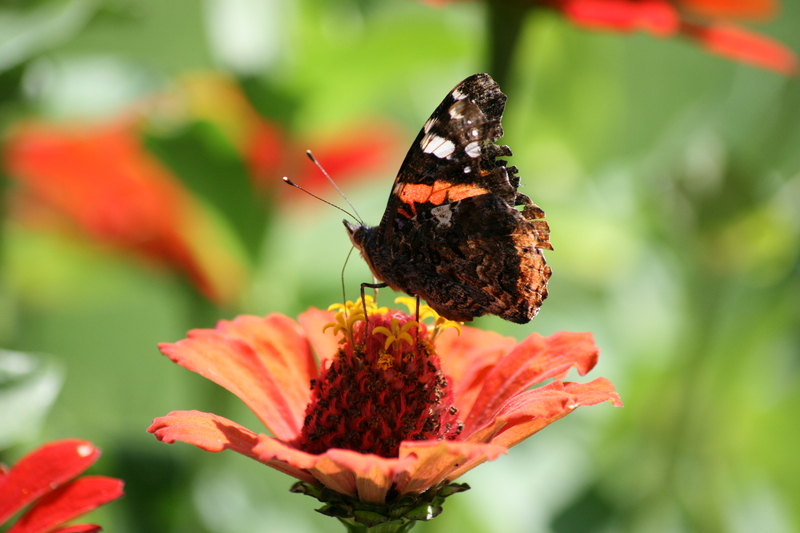 Protected urban green spaces and transportation greenbelts support many species, but diversity in these areas is generally lower than in undeveloped landscapes. Habitat degradation and fragmentation contribute to lowered diversity and urban homogenization, but less is known about the role of anthropogenic noise. Songbirds are especially vulnerable to anthropogenic noise because they rely on acoustic signals for communication. Recent studies suggest that anthropogenic noise reduces the density and reproductive success of some bird species, but that species which vocalize at frequencies above those of anthropogenic noise are more likely to inhabit noisy areas. We hypothesize that anthropogenic noise is contributing to declines in urban diversity by reducing the abundance of select species in noisy areas, and that species with low-frequency songs are those most likely to be affected. To examine this relationship, we calculated the noise-associated change in overall species richness and in abundance for seven common songbird species. After accounting for variance due to vegetative differences, species richness and the abundance of three of seven species were reduced in noisier locations. Acoustic analysis revealed that minimum song frequency was highly predictive of a species’ response to noise, with lower minimum song frequencies incurring greater noise-associated reduction in abundance. These results suggest that anthropogenic noise affects some species independently of vegetative conditions, exacerbating the exclusion of some songbird species in otherwise suitable habitat. Minimum song frequency may provide a useful metric to predict how particular species will be affected by noise. In sum, mitigation of noise may enhance habitat suitability for many songbird species, especially for species with songs that include low-frequency elements. 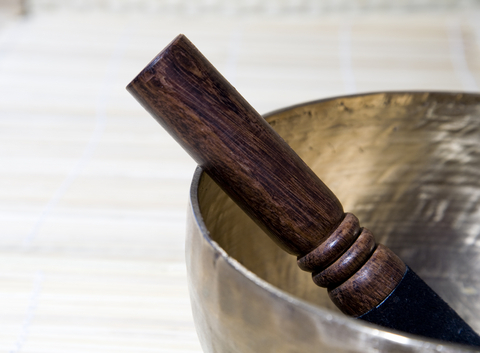 During the summer a friend introduced me to the wonderful properties of Tibetan singing bowls. A traditional singing bowl is usually beautifully hand-crafted from bronze and other metals, which resonate or “sing” from the vibrations of being struck or being rubbed by a wooden, plastic or leather-bound mallet. The sound produced is multiphonic, comprising multiple harmonic overtones, depending on the metal composition of the bowl. Antique bowls often have gold and silver mixed with the bronze. Of late, I have developed a deep interest in acoustic ecology, and I’m currently spending time researching the nature of sound and silence and what this means from a cultural perspective. I was so entranced with the Tibetan singing bowl, and immediately my imagination went into overdrive about the possibilities this could open up. I was delighted when my son bought one for my birthday in September, and eager to experiment, I took the bowl outside to explore how it would sound in an open space. I live in a rural setting, surrounded by fields and woodland, and one evening as dusk was settling into night, I stood on the farm track by the copse near my house and played my bowl. The sound resonated beautifully with a deep melodic tone, and it felt good to be playing it outdoors. The quality of the sound was quite different from playing it indoors. There was more of a sense of freedom and letting the sound go where it wanted without it being enclosed and echoing back. After a short while, I noticed I had company. Out of the corner of my eye I saw something flash by, and quickly it was gone. I recognised the movement. It was a bat! It was dusk at the time, and it’s not unusual to see bats on their evening forays to find food, and so I wasn’t surprised to see it. I often sit and watch the bats in the summer months, flitting in and out of the trees, especially as the sun goes down. I carried on playing, but this time with an eye on the treeline above me. The bat came in for another fly-over, but this time swooped in much closer. I was intrigued. Was it reacting to the singing bowl? Or was it just going about its normal business and I just happened to be in the right spot at the right time. I stopped playing, and stood waiting for a while. No sign of the bat. I struck the bowl several times lightly, making a gentle resonating sound, and the bat appeared again. As I continued to play, it made several passes by where I was stood, some of them very close. This carried on for a while. When I struck or rubbed the bowl to make it sing, the bat would appear, and swoop over me, sometimes quite low. When I stopped playing, it was nowhere to be seen. A few nights later, I told my ten year old daughter and two of her friends, who are also our neighbours, what had happened, and they were curious to see if it would happen again. So off we went with the bowl and all gathered on the farm track by the trees. We stood as still and quiet as we could, and then started playing the bowl. 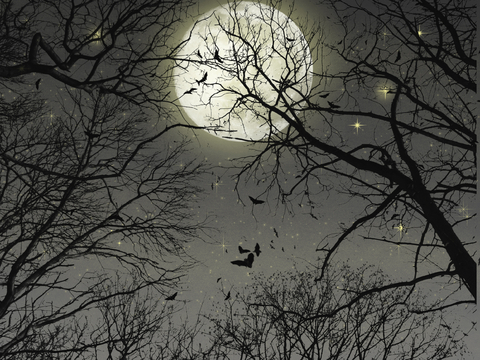 It wasn’t long before a bat appeared, and as on the previous evening, it swooped in low as if investigating the strange noise whenever the bowl was played. The kids were enthralled, whooping and laughing as we all ducked to avoid the bat as it “buzzed” us. The whole experience has left me wanting to know more about this response from the bats. But of course, as a wildlife conservationist, I don’t want to disturb the nightly feeding routines of my local bat population, so clearly I need to do some more research. I hope to have a second instalment to this story fairly soon, and to be able to link this experience into our bio-acoustic workshop Nocturne. What better inspiration to continue with our acoustic ecology work than connecting with nature in surprising ways!